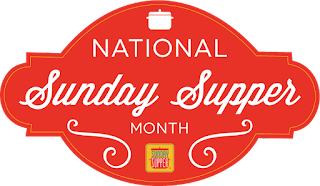 The Sunday Supper Family is kicking off 2016 in a big way! 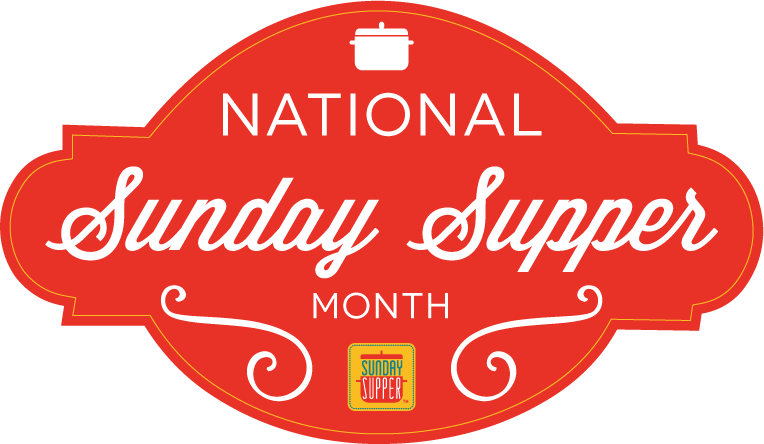 January is designated National Sunday Supper Month so what better time to get together and share your favorite Sunday Supper?!? 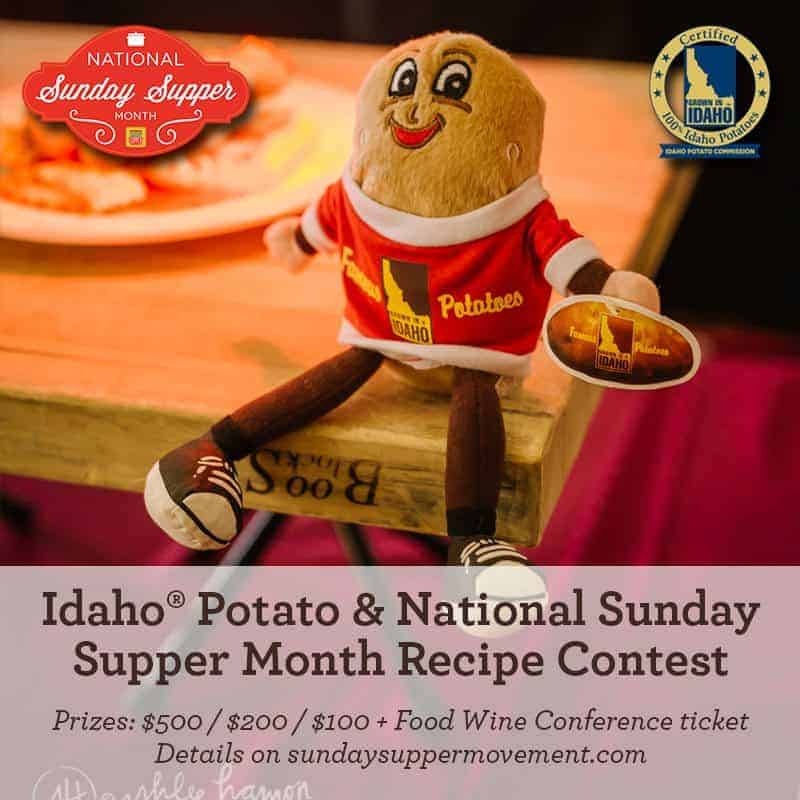 The Sunday Supper Movement's mission: get as many folks as possible around the family table. The biggest gift we can give to our family is to hug, laugh, share our stories and enjoy great meals together. The focus on great food and memories with the family is one I wholeheartedly endorse...all week long. Not just on Sunday. There are actually very few days that Jake, R, and D and I don't sit down for breakfast and dinner to eat, talk, and laugh. And, most of the time, D, who is my Enthusiastic Kitchen Elf, helps me put the meal on the table. If you are interested, take the pledge. 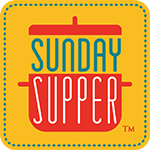 Follow this link and pledge to eat dinner as a family on Sunday. For my recipe today, I wanted to share my Enthusiastic Kitchen Elf's favorite dish. D is always quick to say, "It's not made with any part of a real lion!" This dish gets its name from the noodles and greens looking like the shaggy mane of a lion. He loves to make this and even shared it with our huge extended family one year. Also, there are several elements of this dish that are symbols of good luck in different culinary traditions. We like to hedge our bets for the coming year, so I try to incorporate as many of those as I can around this time of year. Pigs, and thus pork, represent progress as pigs put their snout to the ground and more forward. Leafy greens, the color of new growth and resembling paper money, are said to ensure prosperity. And long noodles are said to represent long life; you see this belief in most Asian nations. In a medium bowl, combine the pork with the beef and, then, with the onion, garlic, shallots, ginger, lemongrass, and 2 T cilantro. Mix by hand until all is incorporated. Season with 5 T soy sauce and 3 T sesame oil. Add flour and mix again. Form the meat into balls. Flatten them a bit so that they are not completely round. Arrange meatballs in a single layer on a silicone-lined or parchment-lined baking sheet. Bake meatballs at 375°F for 35 minutes or until done. In a large soup pot, saute the onions until softened and turning translucent. Pour in the broth and 1 T soy sauce and 1 T sesame oil. Bring to a boil. Add in the remaining cilantro. Add the meatballs, reduce the heat and simmer, covered, for 5 minutes. Add the greens, noodles, and mushrooms. Simmer until the noodles are cooked. To serve Lion's Head Meatballs, serve each meatball in a small bowl surrounding by the greens and noodles. I do see the lion! 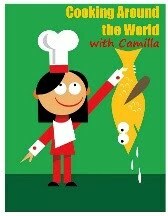 What a super flavor-filled dish, Camilla. Your kitchen elf is very talented! Love the flavors with the garlic, ginger, and lemongrass!! Happy New Year to you Camilla! Having raised Tingting for the last 9 years, I have learned a lot about Asian Culture and their traditions. We are getting ready to celebrate the Chinese New Year around here and this would make a great soup course. Thanks Cam. I was wondering where the name came from! No matter what it's called, this soup looks marvelous! Oh wow, this looks like an amazing combination of flavors. I will definitely have to try it. What a great dish! The soup looks so good! I love your story and photos! That soup looks delicious, I'd love a bowl! I've always seen that on menus but never ordered it. Now I don't have to because I can just make it! Yum! I'll bet the broth is delicious and even better with those meatballs. Happy New Year! I love all the flavors in here and nice to know how it gets the name! Looks delicious and good on your helper being so enthusiastic.